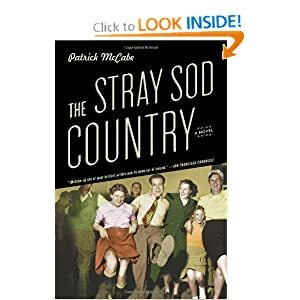 McCabe's enjoyable final installment to his Small-Town series (after The Holy City) is the charming and often dark ensemble story of Cullymore in 1957, a small Irish town near the U.K. border. While fending off death threats from the town outcast, local priest Father Hand announces an Easter play that is sure to be the envy of all Ireland (and, more importantly, his priestly nemesis). Fonsey O'Neill returns a changed man after 18 months in England and expects to marry his old flame, but she may have found someone new. Golly Murray, the Protestant wife of the Catholic barber, secretly yearns to see something horrible befall her condescending, well-to-do friend. And linking them all together is the omniscient and increasingly devious narrator, whose meddling and commentary inform the townspeople's feelings of being strangers in their own skin. McCabe astutely paints a portrait of life in one Irish village, where people struggle both to adapt to modernity and to keep their traditional demons at bay. Historically authentic and with a timeless resonance, this tale provides an appreciable balance of humor, poignancy, and that signature Irish warmth. This one is on my "to read" list too! I haven't read anything else by the author - have you?